Why an entire conference for Women? And what is the need for Women to meet in a conference? C5’s 4th Annual Women in Compliance Conference gathered again a group of professional women in compliance roles a cross industries on 21 & 22 March this year in London. But, why an entire conference for Women? To explain the rationale of the event, let’s first look at a quick background of C5 Communications Ltd.
C5 (UK) is part of C5 Group companies including The American Conference Institute and The Canadian Institute, global leaders in hosting conferences, summits and executive briefings for business decision makers. Based in the heart of central London, C5 produces and holds conferences across the globe, attended by thousands of senior delegates from all over the world. Conferences in the compliance areas deliver regulatory and enforcement updates as well as best practices in the fields of anti-corruption & anti-bribery, customs compliance, economic sanctions, export controls and trade compliance. Secondly, and here is the good part, six years ago, C5 conducted a routine marketing analysis to better know our customers. The exercise consisted in looking at their industries, the size of their organisations, the jurisdictions they are coming from, their job function and titles. By analysing customers according to their gender, important discoveries were made. Up to 70% of the data analysied were women in compliance roles, but out of the 70%, less than 10% were in senior roles. Was this the reflection of the reality of the split between men and women in the compliance roles then? And what about today? In any case, the findings were the beginning of the Women in Compliance drive. The Women in Compliance Awards (WICA) was launched in 2014 to recognise and celebrate the “70%” representing the achievement and contribution of Women to the world of compliance. It is now the only annual opportunity for female compliance professionals to compete and participate in the Awards by nominating themselves or being nominated by someone else – mostly by their male colleagues, choosing from a comprehensive list of Awards categories. The following year, the Women in Compliance Conferences was launched to address the less than “10%” women in senior roles. It was clear from the onset that the vision of the conference was and is still today an opportunity for Women in the compliance field to develop the skills they need such as accessing leadership and senior positions, authority, strong negotiation skills, self-confidence….to be better in all aspects of their role and progress in their career as a woman. The concept of the conference is the combination of technical topics within the compliance field, soft skills vital for compliance professionals and networking opportunities and relationships building. The conference helped all the participants, both at individual and collective levels, to reflect on what is preventing the support and advancement of women in the workplace and in the world of compliance. Specific sessions and panels provided ideas of what can be done but also testimonies of what is already working in addressing the challenges. I believe that women as individuals must be equipped with the relevant tools to unlock their potential and increasingly build their self-confidence. As companies, regardless of their size, their locations or the markets in which they operate, must demonstrate commitment to compliance and the ability to maintain such commitment, building on people who implement the compliance system remains critical. The conferences are unique by their design. They are purposely researched and developed to provide what women in the compliance field need. Tips, solutions and best practices were presented and discussed through candid, authentic, down-to-earth and inspiring testimonies from the speakers’ faculty as well as the participants. The Women in Compliance Conferences are here to stay and is open to women across the globe as well as men, so that we can continue to celebrate achievements within the compliance community and make the world better and stronger. Compliance mit und unter Frauen. Die jährliche Women in Compliance Conference bot eine einmalige Möglichkeit für Frauen in Compliance-Positionen sich fortzubilden und zu vernetzen. Die Veranstaltung bot eine ideale Umgebung, um sich ein internationales Netzwerk aufzubauen und Ideen und Input zu teilen. 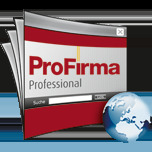 Sie fokussierte sich auf die wichtigsten Compliance Entwicklungen in den letzten 12 Monaten und sprach wertvolle Themen im Bereich Compliance, Recht, Ethik und Audits an. 1,5 Tage fachlichen Austausch im Rahmen von Vorträgen, Podiumsdiskussionen oder kleinen Gesprächsrunden unter den ca. 70 Teilnehmern. Themen waren beispielsweise, wie eine Compliance Kultur oder innovative Compliance Trainings aufgebaut werden können, wie mit Meinungs- oder Kulturenvielfalt im Rahmen von Compliance umgegangen werden kann oder welche Tipps und Tricks zum Aufbau der „eigenen Marke“ und einer erfolgreichen Karriere dienen. Im Anschluss an die Konferenz fand noch die Compliance Awards Gala statt. Hier wurden die herausragenden Leistungen von Frauen in Compliance Positionen geehrt und gefeiert. Dabei ging es nicht nur um den Junior oder Chief Compliance Officer of the Year, sondern auch um Compliance-Innovationen, -Teams oder Consulting Firmen. Die Preisverleihung wurde durch Komödianten und Erfahrungsvorträge abwechslungsreich und spannend gestaltet. 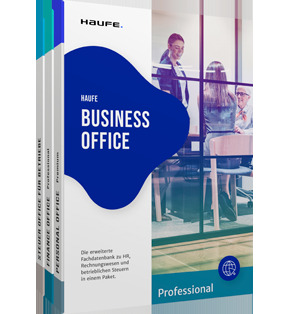 Hervorzuheben ist, dass die Haufe Group mit Ihrer Compliance Officerin Chloé Saby für den Award „Compliance Officer of the Year Large Sized Company“ nominiert war. Eine absolut lohnenswerte und erfahrenswerte Veranstaltung, die alle wichtigen Faktoren vereint, wie z.B. Wissensvermittlung, fachliche Kompetenz, inhaltlicher Austausch und Kommunikation. Hervorgehoben werden sollte auch noch die herausragende Organisation. Nicht nur ein lückenloser Informationsfluss vor der Veranstaltung, sondern auch die Vielfalt an Netzwerkangeboten während der Veranstaltung, wie z.B. der Mentor/Mentee Lunch, waren optimal strukturiert.